GKN Sinter Metals will focus on AM at this year’s Engine Expo. 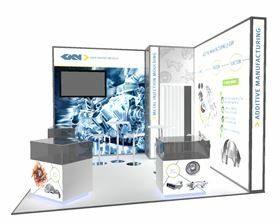 GKN Sinter Metals plans to focus on additive manufacturing technology for engine design at this year’s Engine Expo, which takes place in Stuttgart, Germany, at the end of May. Simon Höges, manager of additive manufacturing, will also present a talk about the economic and quality aspects need to be considered to enable the broader application AM, including introducing new powder materials.